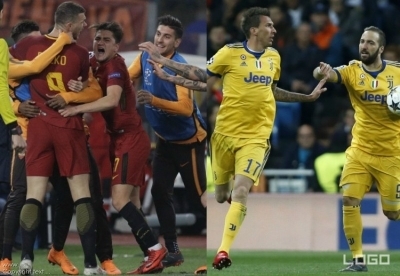 Roma and Juventus return to domestic matters after their epic performances in Champions League football games this week. The Bianconeri came so close to a betting odds-busting win against Real Madrid, while Roma succeeded to do just that against Barca. And now there’s a feast of football for fans back in Italy, with massive prizes up for grabs throughout Serie A. Juventus and Napoli contest the title, the two Rome clubs and Inter are after Champions League spots, and seven teams are in danger of dropping into two available relegation places. Three consecutive defeats leave Cagliari in trouble but they have a real opportunity to pick themselves up and drag Udinese down. The visitors haven’t won in ten and have lost the last five away, which means they are only six points clear of trouble. They need another win soon but time’s running out. All this scrabbling for points is some comfort to 18th-placed Crotone, who lifted themselves level on points with 17th thanks to a priceless win over Bologna last week. Genoa is three unbeaten and almost safe in 12th. That win was Torino’s third on the run, and it may be too late to revive their own Europa hopes but another win in Verona might keep them interested. One win in six has kept Chievo right in the relegation mire, just two points above the drop. Fifth-placed Inter can go third, at least until the Rome derby, with a win against Atalanta. With two Champions League places up for grabs, Luciano Spalletti’s team must recover quickly from defeat to Torino last week, and are at odds of 2.58 to win away to Europa chasing Atalanta. The Violas are in fantastic form, with six consecutive wins that took them up to seventh, just two points behind Milan. That gap could be bridged by the end of the weekend. But SPAL are fighting for another season in Serie A, four draws on the run keeping them in 17th. Well, it’s too much to hope for Benevento fans as they are 14 points from safety. They just want to enjoy the last few games, a luxury Sassuolo doesn’t have. The hosts are unbeaten in five, including four draws, but are still only three points above the drop. Three wins in six have given Verona a real chance of survival, in 19th but now just two points from safety. And what a story it would be if they stayed up at the cost of Chievo! Bologna are in 11th but may be there for the taking, without a win in five. Gennaro Gattuso has been rewarded with a new contract after his Milan side has risen to sixth place in a determined campaign, so they won’t be a pushover for Napoli who are desperate to hang on to Juve’s coat-tails. Defeat for Maurizio Sarri’s talented side would be a heavy blow to their title hopes. The Bianconeri came so, so close to beating Real Madrid but they must now turn their attention back to retaining the Scudetto. They can maintain a four-point lead at the top with a win over a Sampdoria, in eighth and with three league defeats in the last four. Roma president James Pallotta has copped a 450 Euro fine after jumping in a fountain to celebrate the spectacular win over Barca but he won’t mind. He’ll probably jump in again if they win the Rome derby! It couldn’t be tighter with both teams in the top four, on 60 points, and the odds for the game are 2.66 a home win, 2.65 for Roma and the draw at 3.15.